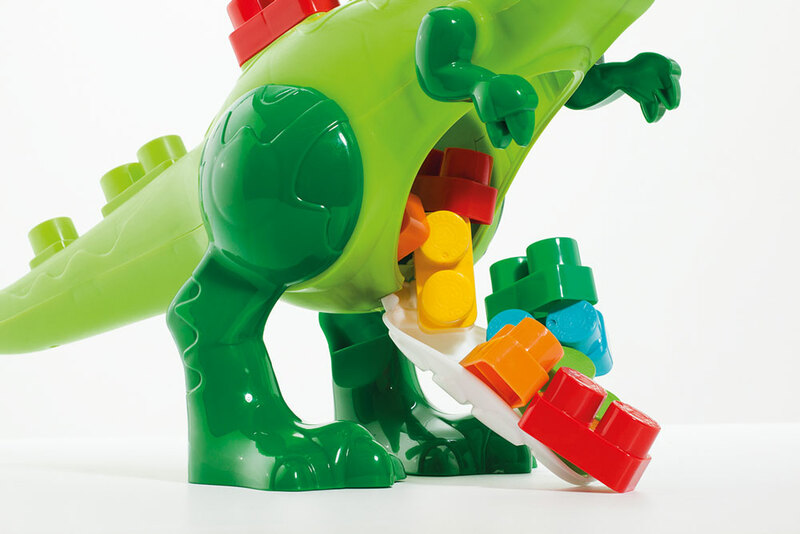 Dino Blocks with 30 pieces for building blocks. 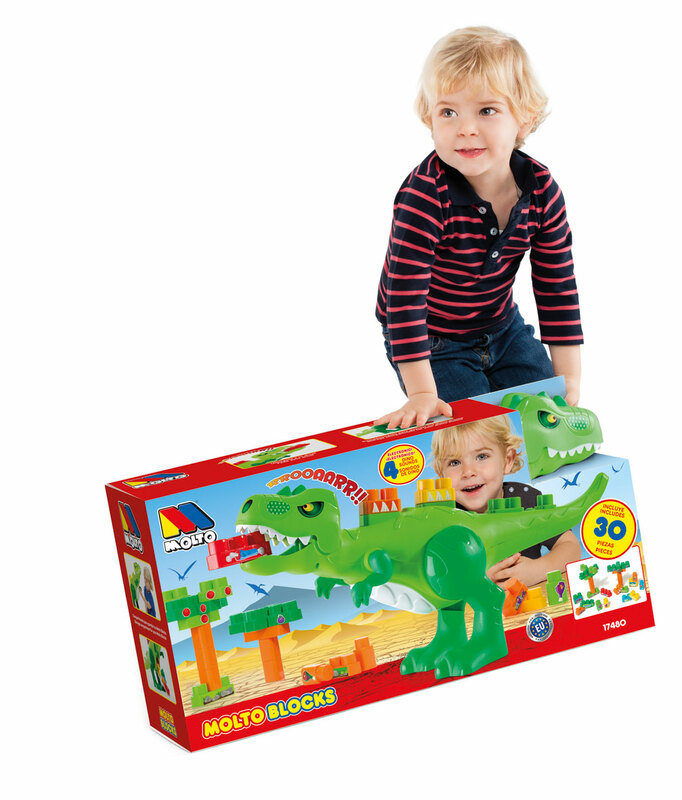 This electronic dinosaur is the king of blocks games, with real dinosaur sounds, he loves to eat blocks of colored pieces and that is why his belly is always full of blocks to build and play Molto Blocks. 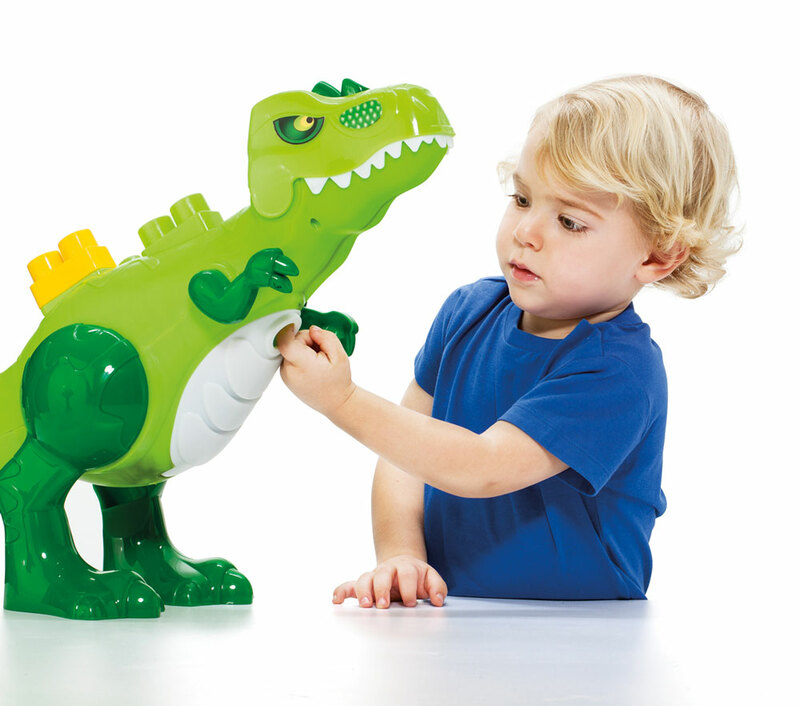 A great way to have fun while learning and reinforcing basic concepts such as colors, sizes, shapes and equivalences.